On Saturday, American girl Meghan Markle married Prince Harry of England became the Duchess of Sussex. And now,it’s safe to say life as she knows it has officially ceased to exist. From galas, balls, public engagements, teas and meetings with the Queen Elizabeth II, Meghan is now living a life of royal duties. Meghan will need to adhere to a slew of royal rules to avoid major no-nos or faux pas in order to stay in society and the Queen’s good graces. 1. No Selfies: During her first official event with Prince Harry, Meghan revealed that she would no longer be able to take selfies with fans after a couple asked her to pose.”We’re not allowed to do selfies,” she told the duo, reports the Daily Mirror. 2. 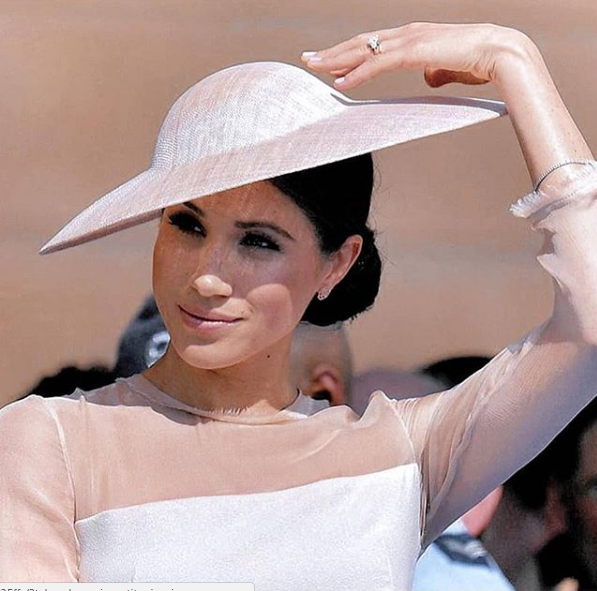 No Autographs: She may have some Suits superfans in her past, but these days the new royal isn’t allowed to sign autographs under any circumstances. 6. Curtsy Time: The queen expects female family members, including Kate Middleton and Camilla Parker Bowles, to curtsy when they enter a room in her presence, even when it’s an informal occasion, which means Meghan better get used to the curtsy. If she is at an official event, Meghan must also curtsy to anyone who outranks her title. 12. No Room Raiding: There is a strict code of conduct for how to enter a room when your are with the royals. Here’s the royal order: Queen Elizabeth, Prince Philip, Prince Charles, Camila, Prince William, Kate Middleton, and then most likely, Prince Harry and Markle, according to Reader’s Digest. 13. Don’t Eat Before the Queen or After the Queen: Markle should not begin eating her meal until the Queen has started hers, StyleCaster reports. The former Suitsstar also needs to keep her eyes peeled—for when the Queen stops eating, everyone must stop eating, even if there is still food. 14. No Sleeping ‘Til the Queen Sleeps: If Markle stays at the Queen’s house, she’s gotta stay up until QE2 falls asleep, so says the Daily Beast. Apparently it’s considered bad form to call it a night before the monarch. 17. No Shellfish For You: It’s an ancient royal tradition to say no to shellfish in order to avoid food poisoning. While the royal family doesn’t always adhere to that rule, Queen Elizabeth still does.